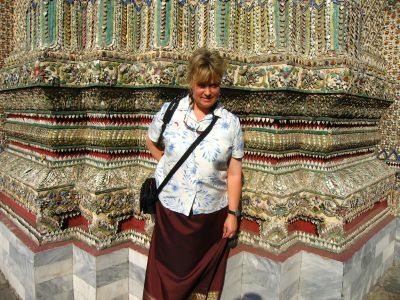 dobja and i toured an amazing palace, the grand palace of bangkok, on christmas eve. 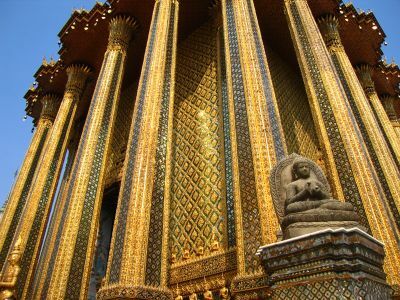 there were several temples within it that were covered in jewels and gold. 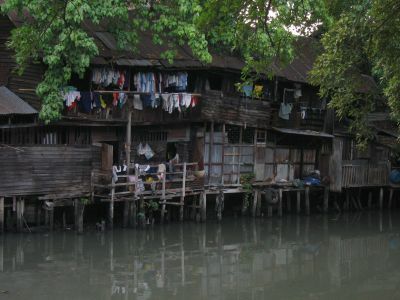 i love the roofs in southeast asia. you'll see too many of them on this site i know but perhaps you'll end up enjoying them as much as i do. 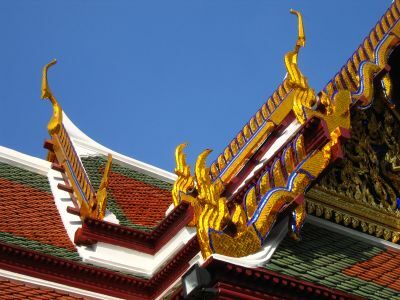 grand palace roof work. 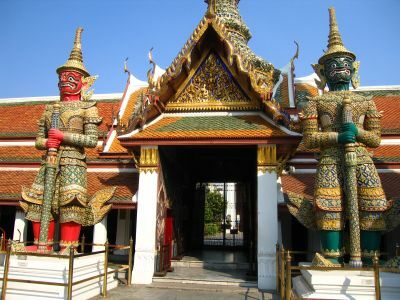 seriously large guards keeping order in the grand palace. 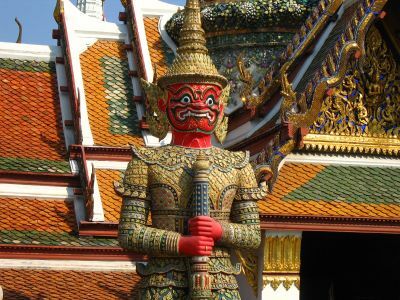 close up of a guard. 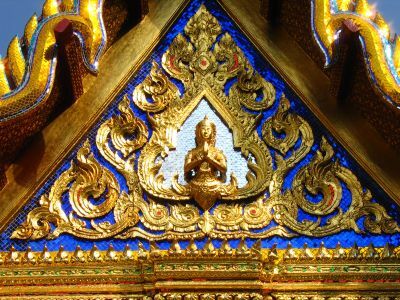 temple detail in the grand palace. amazing colors. i made dobja stand in certain cool places for photos. 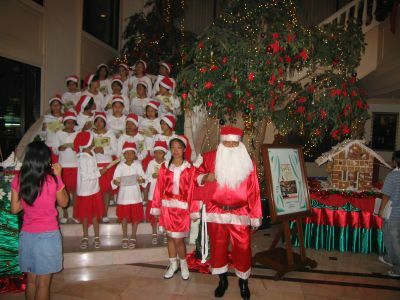 we got back to the 4-star hotel dobja paid for and were greeted by about 20 thai girls singing christmas carols and a santa and his helper. it was very nice but also pretty funny because the girls were singing words they just memorized but had no idea of their meaning, so it often came out strangely. and the santa and his helper looked absolutely humiliated but it was nice to have a little touch of christmas there in bangkok. 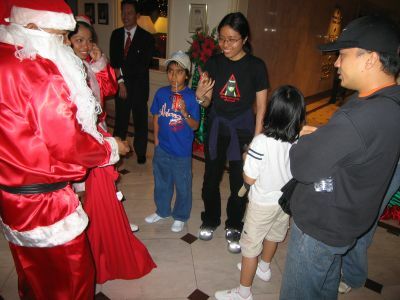 after the singing was done, the thai santa combed the hotel lobby for young children to whom he distributed all the goodies in his sack. most of the kids had no idea what he was doing and looked shocked to get a gift.